<posted March 12, 2015> It is no secret that our in-person AHS functions are struggling to meet the needs of our membership – especially regional meetings. Those who continue to religiously attend summer regional meetings note the rising registration costs (typically $119-$169) and yet also note the scaling back of tours, gluttonous food options at the hotel and in the gardens, giveaways, auction lists, printed materials, free plants on the bus, and the swankiness of the hotel. Others have cancelled their regionals due to low attendance, lack of interested planners and geographic constraints. 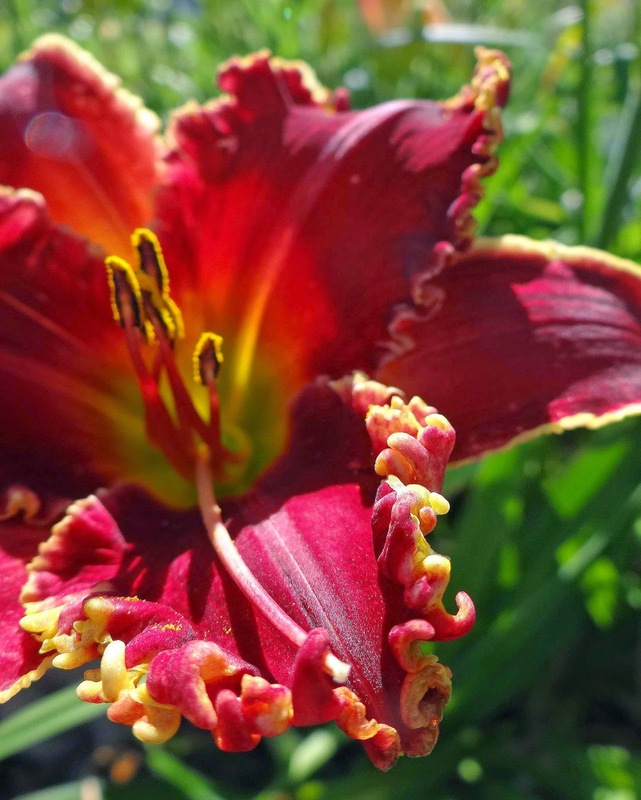 Our aging membership and “the economy” are two other factors oft-cited in our quest to figure out how to get more bodies together in one place, in person, to commiserate on the daylily. Some regions have taken to scheduling fall, winter or spring events to not compete with the summer AHS National and have been successful at growing from year to year. Multi-state regions offer state-specific regionals to relieve travel burdens. When I attended my first regional meeting in 1999, I went home with two gifted tote bags overflowing with free and desirable plants, brochures, magazines, pens, and t-shirts. I ate three meals a day for two days, and was offered more snacks in each garden than I could have consumed in good conscience. Here is my bold statement: you have to sacrifice something in order to create distinction: Old schedules, big names showing up all expenses paid with their dog-and-pony show, customers that demand more than you should give. Giving up old ways of thinking in the short term for higher profitability in the form of attendance and regional fellowship in the longer term is soul tearing. Saying ‘good bye’ to something that worked so well for a while (and may be still working somewhat) is extremely hard. Our biggest cost putting on the regional for 210 people in 2011 was the bus. It cost almost $70 per person for one day and a half for buses alone. But something has to change. I think we can only revive the past by reinventing the future. It wont be easy, and it wont be quick, but it will be done. So, in 2016 our regional summer meeting will not be hosted by a club. It is hosted and organized by 6 individuals who wish to put on one heck of a party for Region 2. The regional board voted to subsidize our efforts with budget oversight and we are having a ball planning so far. 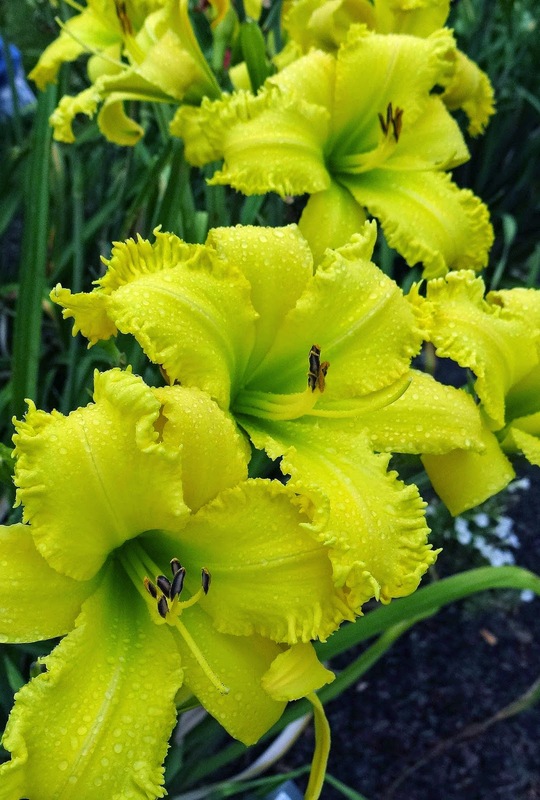 Day One (Friday): An AHS-Accredited Daylily Show, (yes - a REAL show at a regional meeting) Open Gardens, Dinner on your own. A very structured "Meet and Greet" social evening event to let attendees catch up and prepare for the weekend. Several 15-minute quicky presentations from hybridizers in Region 2. Hospitality and Judge's Clinics held in the later evening to accommodate travel restrictions. Day Two (Saturday): Sun up to sun down bus tour of gardens throughout central Illinois with lunch in one of the larger gardens, daylily sales in some of them and a shopping stop at a huge nursery along the way. Sit down dinner followed by Live Auction. No clinics, no meetings, no rush. Day Two (Sunday): Regional Business meeting and Q&A served over full, hot breakfast buffet and omelet station. Attendees will NOT TOUR VIA BUS on Sunday, but instead choose four 30-minute Workshops from a list of 10 or more for education and fun. Open Gardens in the afternoon. And we are shooting to do all that for a $100 registration fee. Can't be done, you say? We cant wait for you to see us do it. Would YOU come to a Daylily Regional like that? I like this structure and I think it resonates with people's need for choice and control with their money and time. AHS Open Forum - "Ask The Regional President"
Regional Meetings should not be mini-nationals. Let AHS worry about all that fabulousness. The more elaborate you try to be, and the more we try to "one-up" the meetings of the past, the fewer clubs will take on the job of hosting them. I belong to the region with the highest membership in AHS and we still struggle to find local clubs to host a regional meeting. I hope you'll plan to come to Peoria, Illinois in the summer of 2016 and see what might be the future for regional meetings. Here is a link to register for this year's regional in Indianapolis. I'll be there and cant wait to see and enjoy what they do! Til next time- keep thinking creatively. Nothing needs to be the way it always has been. I am energized just reading through the ideas this small but mightily creative group is coming up with. I am going to have to reread your blog because there was so much to digest in your reflections. But I'm in for 2016!! Great ideas! What do you plan for "A very structured "Meet and Greet" social evening event to let attendees catch up and prepare for the weekend"? I am looking for new ideas for the 2017 Region 11 Summer Meeting in Oklahoma City, which I am chairing. I hope to have a fun meet and greet on Friday evening. Hey, Joel! I hope to see you "down this way" next summer for the event - of not sooner at MOBOT! Saundra- its totally a team effort and I am excited about what we are planning! Hope to see you there!!! Thsnks! Sounds like we think alike, as I have recommended those same things on surveys I have submitted. I will look foreard to hesting mote of the ideas your team develops. 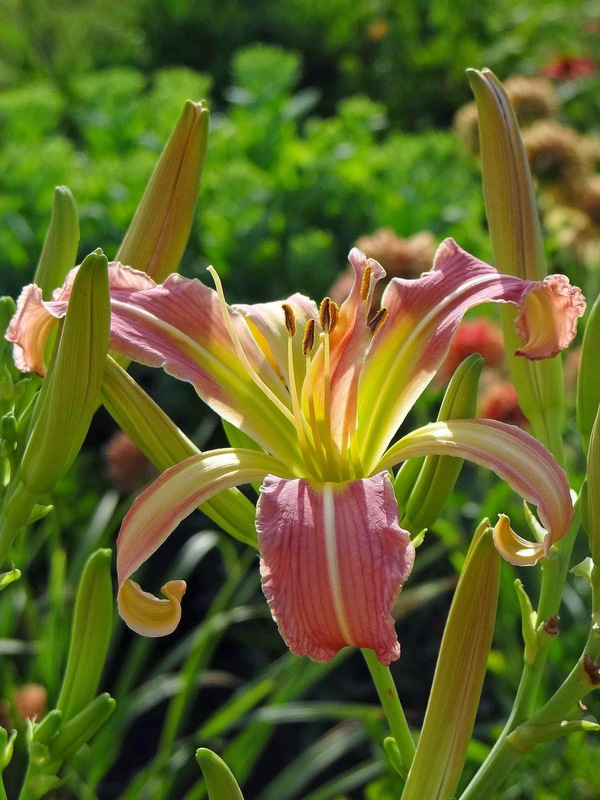 Question: Do you know of any daylily games? One region's attendees rated that the best part of their conference, better than garden tours! 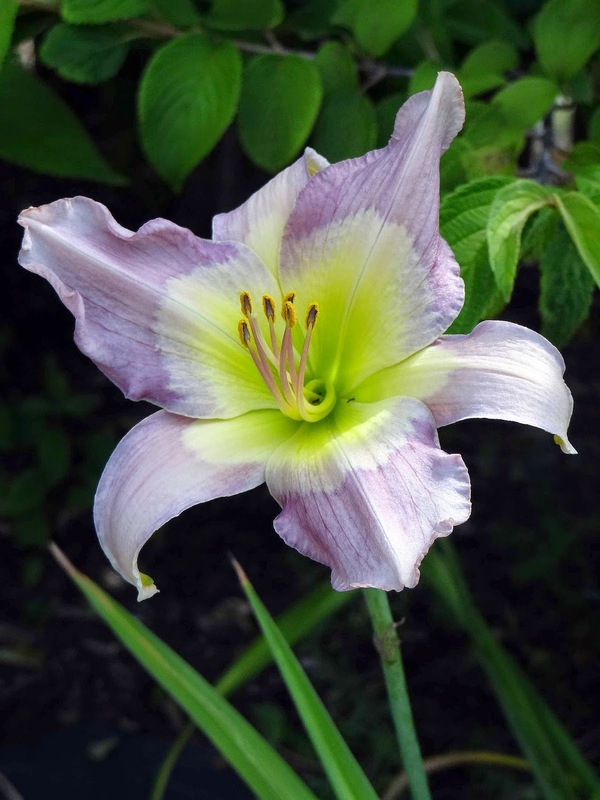 I do have some daylily games that involve identifying hybridizers of Stout winners, matching regional hybridizers with their intros, and some AHS trivia. I love games, too!